This entry was posted in Bommers, caregiver, content, downsizing, executor, home buyers, home cleanout, home content liquidation, Home Downsizing tips, home seller, home sellers, home selling tips, house flippers, how to, investors, Millennial, podcast, real estate, real estate tips, Realtor, sell, Uncategorized and tagged clean, clutter, Family, home, how to, moving, new Jersey, pennsylvania, podcast, property, real estate, tips, transition on April 1, 2019 by Joe Santoro. This entry was posted in Bommers, caregiver, content, estate sale, home content liquidation, Household liquidation, how to, liquidation, podcast, real estate, sell, sell household content, sell my furniture, sell my stuff, Uncategorized and tagged clutter, content sale, Family, home, how to, insights, liquidation, moving, new Jersey, pennsylvania, podcast, property, real estate, tips, transition on February 17, 2019 by Joe Santoro. We all have fond memories of growing up and playing at grandmas house and the love and care that she put into the house, along with all the lovely things inside it. Unfortunately, the value of things has changed dramatically over the past few years. Things that were in high regard and value in the past are no longer sought after or even wanted today. 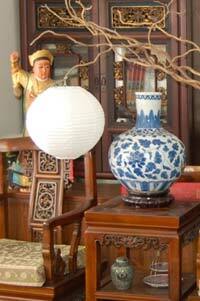 Things like porcelain dolls, china, figurines and such are just viewed as needless clutter today. Young couples starting out don’t want the same things people used to have according to Joe Santoro, and in fact, they often don’t want anything from grandma’s house. In fact, we have found that around age 50 is the dividing line. People over 50 already have lots of the same stuff that people now want to get rid off and don’t want anymore of it and would like to downsize themselves too. People under the age of 50 simple don’t want older stuff. We now live in the disposable age. Many things, like furniture are must less costly today, so younger people would just rather buy new things and then after about 7 or 8 years simply get rid of it and get newer items all over again, to keep up with changing styles and taste. This entry was posted in Bommers, content, downsizing, estate sale, Home Downsizing tips, home selling tips, how to, real estate, seniors, Uncategorized and tagged clutter, Family, home, how to, insights, moving, parents, property, real estate, tips on January 23, 2019 by Joe Santoro.